Being named Halloween makes it easy to be a witch, but it doesn't make being a witch easy. A newly inherited large home seems like the perfect Bed and Breakfast opportunity, especially one spooky night when a handsome guest shows up at the front door. But that is just one of the many mysteries Halloween is now dealing with in her old house. 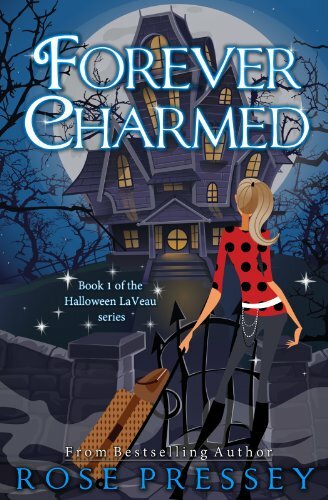 Light romance, mysteries within mysteries, ghosts, humor, and witches of all types inhabit the world of Halloween LaVeau and these 8 cozy witch mystery books.